Apple has released an updated version of its Apple Store app for the iPhone, which is said to include both performance enhancements and improved product search capabilities. 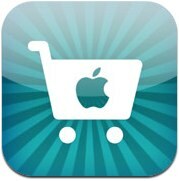 The Apple Store app allows users to purchase Apple products quickly and efficiently on their iPhones. News of an upgrade first came to light last week, with a report that suggested Apple would begin offering free downloads within the App, including content from Apple’s iTunes Store, App Store, and iBookstore. While the app appears to be the same on the surface, it is entirely possible that Apple has included the framework that will support the addition of new deals and offerings within the app in the near future. 9to5Mac suggests the possibility that free content may only be shown when a customer is inside a brick-and-mortar Apple Store. Apple is said to be overhauling the app as part of its incentivization efforts designed to increase its number of in-store iPhone sales. According to Apple CEO Tim Cook, iPhones are an important "gateway product" that lead customers to purchase other Apple products. At the current point in time, only a small percentage of iPhones are sold in Apple Stores, with the majority of sales coming from third party locations like carrier stores and electronics retailers. By offering free content in its Apple Store app, Apple can draw customers in to view and purchase additional Apple devices. In an effort to increase iPhone sales Apple has begun including the iPhone in its annual Back to School program, allowing eligible education customers to receive a $50 gift card that can be used to purchase music, books, or apps. Apple is also planning to implement a new iPhone trade-in program, which is designed to encourage users to upgrade to the latest models by offering a credit for used devices. Update: Apple has pushed a second update to its Apple Store app, bringing it to version 2.7.1. The release notes continue to point to improved search capabilities and performance enhancements, so it is unclear why the app has been updated again. Cool! Now give us an iPad version. Where is the iPad version!! The "direct link" at the bottom of the article seems to link to the Apple Remote App in iTunes? :p they will probably bring that out before iPad version! If they want to sell more iPhones in store they need to either offer better deals or offer something exclusive to in-store sales like a free extended warranty or something. anybody else really excited to see what happens with this? I imagine apple might be able to pay more than gazelle and the like. Seriously, how hard can this be?!? At least iOS 7 will use retina images to improve iPhone apps on iPad, but it would still be great to have a native iPad app.